Tallinn is one of the best surviving medieval European Hanseatic towns and was first mentioned in historical records in 1154. 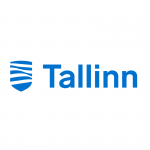 Since 1997 the Tallinn Old Town has been marked on the UNESCO World heritage list and is therefore particularly appreciated for its still surviving milieu and structure. In northern countries, where dark hours are limited, the artificial lighting helps to highlight the architecture and is therefore a very important means in developing the tourism. The city has its own principles for city lighting that prioritize, first of all, city safety but are also concerned with exposing the old city architecture in the dark season. The aesthetic aspect of the street lighting is also important. 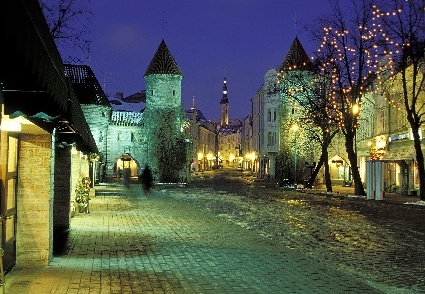 The history of Tallinn’s electric street lighting began in 1883 when the first electric street lamp was switched on. At the beginning of the Second World War there were 1464 electric and 549 gas lamps in the city. 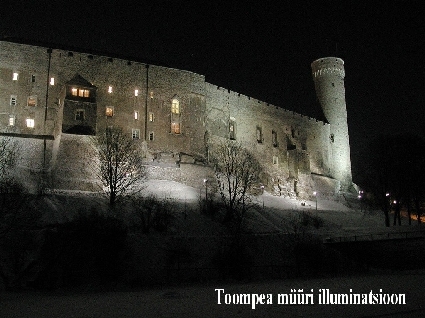 Today there are approximately 40 000 street lighting lamps in Tallinn. The street lighting is managed and controlled through the GSM network, using a modern management and supervision system that gives an overview of the street lighting situation in real time, detects faults rapidly, protects power sources and saves maintenance costs.